In this new series, KingFut interviews exciting prospects in Egyptian football that you might not have heard of and who can eventually rise to the top in the future. The series takes a look at the first steps of these young talents, their teams, the challenges they face and their future goals. Our first rising star is Mena Tarek – An 18-year-old forward who currently plays for Wadi Degla women’s team and the Egyptian national team. She has also captained Egypt’s U-17 and U-20 national teams. 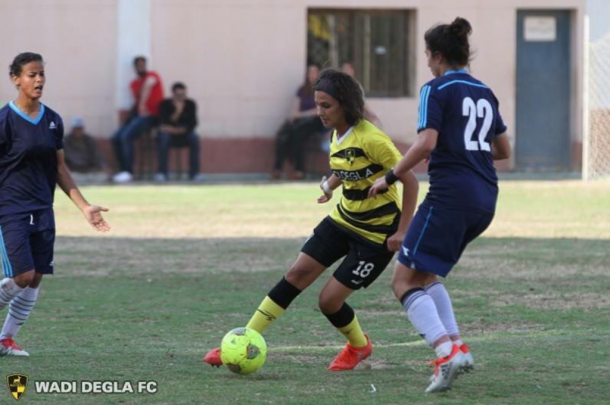 Wadi Degla women’s team have dominated Egypt since the inception of the league and cup. Not only are they the holders of both titles, but are also currently unbeaten in the 2017/18 campaign. Egypt on the other hand had a historical 2016 when they won their first-ever game at the African Cup of Nations 1-0 over Zimbabwe. However, due to funding issues Egypt will not be participating in the U-17, U-20, and first team CAF competitions in 2018. Mena’s ability to score from multiple positions and her dazzling dribbling have caught the eyes of the technical teams, opponents, and fans alike. Beyond her skills, Tarek was the top scorer in the 2016 African U-17 Women’s World Cup Qualifying Tournament with eight goals. Though still very young, the forward has demonstrated her passion and determination in the sport – starting from playing in the streets to representing the best team in Egypt. Sina Isaac: How did you first get into football and start playing it? Mena Tarek: I first started playing in the streets with the boys when I was six years old and played at a youth center close to my house. One time while I was playing in the Ramadan league, captain Salama Salem saw me and was impressed… He took me to El-Dakhleya [club] when I was 10 years old and I signed a contract when I first went there. I went on to play in the first youth league and was the youngest player. I won the best player in the competition award in my first season with the team. Thank God, I won the award three years in a row. After my first year at El-Dakhleya, they promoted me to the first team when I was just 11 years old. It was a great achievement and it felt like I was slowly achieving my dream. SI: You’ve captained both the U-17 and U-20 national teams and have featured for the first team, what was your experience like? 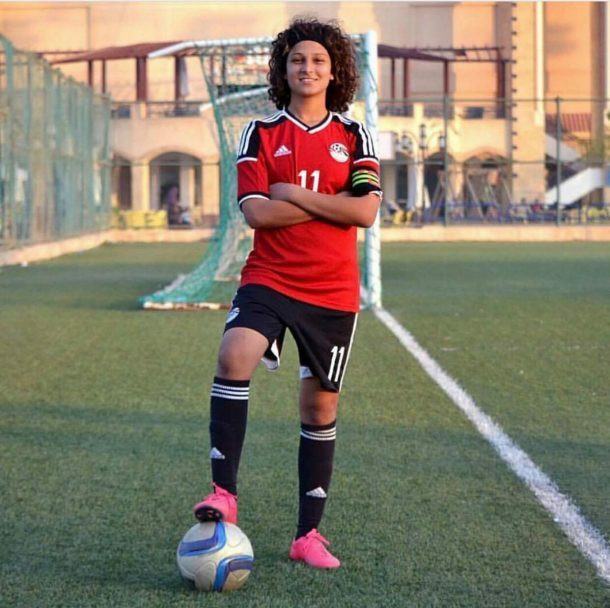 MT: I was 11 years old when I joined the U-17 Egyptian national team and it was the first women’s youth national team to be created in Egypt. I couldn’t believe that I was called up. I felt as if with every step, my responsibility increased as a player. When I was 13, I was called up to the first team. It was my biggest dream and it was massive that I was just 13 years old and playing for the first team. I played my first game for the team when I was 13 in the African Women’s Qualification against Tunisia and was the youngest player on the field. Playing for the first team led me to join Wadi Degla, which was a very important and great step in my career. Any player in my place dreams of playing for Degla since they’re a big team and holders of the league title. I became captain of the U-17 team in the second year and was the leading scorer of the 2016 African U-17 Women’s World Cup Qualifying Tournament with eight goals. 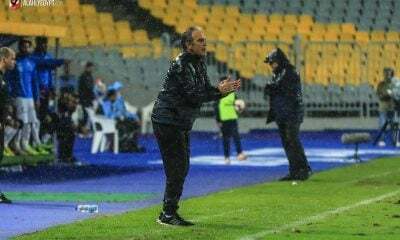 SI: What are your goals with Wadi Degla in the coming period? MT: My goal with Wadi Degla, God willing, is to win the league this season. We are working very well and are concentrated because this season is harder than any of the previous ones. I hope to continue playing well and to benefit my team this season. SI: How do your friends and family feel about you playing football? MT: My family always supports me and are very proud of me. My friends also constantly encourage me and want me to become the best I could be. They are always with me and I thank them. SI: Who would you say is your biggest role model? MT: My biggest role models are Mohamed Salah and Neymar. From the women players, Brazil’s Marta is my role model. SI: Who have been your biggest supporters, other than your family and friends, in your journey? MT: I want to thank someone who deserves a lot of credit in all of this. It’s captain Salama Salem, may God bless his soul. He is the biggest reason, after God, for what I have reached. I also want to thank captain Mohamed Kamal; the Wadi Degla coach [as] he’s always encouraging me and has stood by my side from the minute I joined Degla. I want to thank captain Wael and captain Marwa El Hawat and everyone else who supported me. SI: As a young woman playing the sport, what would you say is the biggest challenge that you all face? MT: The major problem that all of us players face is that there is no support or attention to women’s football in Egypt and we aren’t given much coverage from the media. SI: How do you think the league and national teams can be improved? MT: Firstly, my hope is to do something good for the national team. However, we need attention from the Egyptian Football Association (EFA) and from the media. The EFA needs to support the small clubs and the national team….They need to put lots of resources towards women’s football. Our national team is strong and we have good players but we need support and attention from the media and EFA. SI: Is there a team you would like to move to in the future? MT: My dream would be to play for my favorite team FC Bayern München, but I would be grateful to play for any team abroad. SI: What is your advice for other girls who want to play football professionally? MT: I would like to tell anyone who wants to reach a goal and become something to keep chasing your dream and to keep going even if you fall once, twice, or even 10 times. Keep trying until you reach your goal. Don’t pay attention to what others are saying around you. As long as you have a goal that you want to reach, don’t let any words or obstacles stop you, and if you fall down get back up because nothing comes easily. It’s not only important to eat well and sleep well but also to be close to God because as long as you are close to God everything you will face will be easier. Always have confidence in yourself and follow your dream however hard it becomes. My dream isn’t what I see when I sleep but rather what I envision myself accomplishing every single day. I see it. I believe it. I chase it. KingFut would like to thank Mena Tarek for her time and wish her the best of luck in her career.